This past week, you might have noticed the many news stories about killer cats. The research study about domestic cats’ impact on nature concluded that cats kill up to 3.7 billion birds and 20.7 billion mammals every year. Did you happen to pick up that the senior author on the paper was Peter Marra of the Migratory Bird Center, a research unit of the National Zoo, and one of his cowriters was Scott Loss, also of the MBC? While we are always excited by and proud of the research output of the Smithsonian, this is an example of a scholarly article having an impact in the public sphere—i.e. beyond just the scientific community. Does that matter? How does it matter? Is there a way for the organization sponsoring that research to measure impact of research output like this? These are the kinds of questions we can finally begin to tackle with the use of altmetrics. Science is all about sharing methods and results. Traditionally, this has been done through publishing in peer-reviewed journals that took months to get from article to your lap. From there, any article of interest was then cited by other researchers and together this builds a prevailing scientific field of inquiry. This method of knowledge production can be expensive and slow, with limits on who can access the research and what they can really do with it. Key metrics were also limited: the individual researcher could calculate their h-index, which lines up the researcher’s most cited papers with how many citations they received in other publications to come up with a metric, or someone could consult Thomson Reuters for the journal Impact Factor, which reflects the average number of citations a journal has received in recent years. There are other bibliometrics for sure, but these are the big players for now. Yet both have limitations, such as how they are restricted in scope to scientific publishing. Altmetrics has emerged as a response to the shifting ground on which scholarly output stands. No longer is it sufficient to count citations or get published in a specific journal. Funders like the NSF are increasingly requiring principle investigators to list “products” rather than just “publications.” This demands that the research community pay attention to the broader impact of their work. In response, a proliferation of alternative methods of gauging the impact of a particular article has emerged (thus altmetrics: alt+metric). Capitalizing on big data and open source APIs, altmetrics allow for quick, flexible analysis and insight into emerging trends, hot topics, and public interest stories. Altmetrics may even give us insight into research impact in ways we haven’t thought of before. Many journals have taken note of this, and now provide article-level metrics. There are also standalone sites that aggregate altmetrics on a number of articles, datasets, blog posts and more. With these tools, we can begin to see the minimum impact research makes on the community in the broader sense. Sites like impactstory.org can be used, too, by entering the DOI of the article and getting an extensive look into the ways this article is having an impact. Mind you, this article is days old, but it has already made an impact in the public discussion on issues like animal control and the behavior of pet owners. Perhaps this article has made an impact because cats are the nation’s most popular pet, or perhaps our collective anxiety about the impact we have on the natural world and a lingering guilt of destroying the planet in some subconscious nihilistic death drive that plays out in our careless disregard for what fluffy does on her nightly jaunts in the neighborhood is showing through. 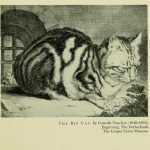 While the Scholarly Communications department of the Libraries may not be able to answer the question of why kitties kill (though a reference librarian might point you in the right direction), what we can do is give insight into the impact an article has, and pay attention to trending research. As keepers of the bibliographic record of the research output of the Smithsonian Institution, we are in a key position to provide this. PLoS Collections has started the Altmetrics Collection, an ever expanding body of research on altmetrics. There is also an altmetrics group on Mendeley. The Open Society Foundations have funded Beyond Impact, which aims to bring together funders, developers, and service providers to work on more effective research assessment. My concern is why this particular altmetric was chosen to be spolighted, highlighted, or otherwise sensationalized. This is the kind of irresponsibility that eventually lead wolves to be villified. Was this done with the intention of bringing about another round of the Plague? As when misguided persons rose up against cat populations of the past. Not everyone is going to give an article like this the close reading that it perhaps deserves, but you (the promoter) can do everyone a service by highlighting every scientific article that comes along, or none, or using better judgment in choosing which ones to highlight by taking into account more than just the sensational value of the promotion. Doug, thanks for commenting. I can see you are a cat lover (as am I). There were a few reasons I chose to highlight this article in particular. First, it garnered a lot of media attention, and illustrates the main point I was arguing: that scientific literature has impact beyond just the scientific publishing world, and using altmetrics can be a way to identify when articles such as this are making a big impact. Secondly, this article was published by staff at the Smithsonian, so it relates directly to the work I do in maintaining a bibliography of research output of the Smithsonian. Finally, I chose this because it was a controversial study that has generated a lot of interest, and I did hope that by using it, the discussion of how altmetrics could be used would get a wider audience. 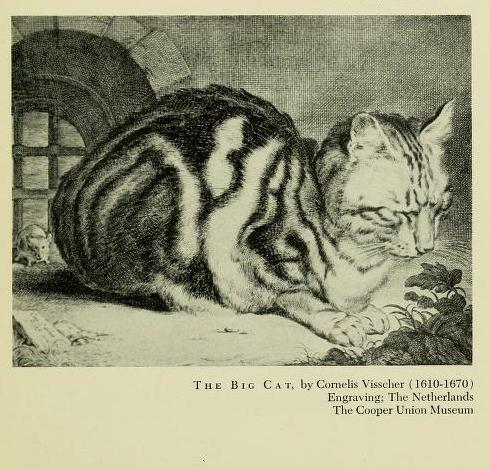 This article is a meta-analysis of research on the impact domestic cats have on the environment. In essence, it was an attempt to review the previous studies and find a more accurate estimate for their impact. And like altmetrics, bibliometrics, and any other assessment that exists, studies such as these are only tools that attempt to draw out meaning from a broad set of data in the most precise and accurate way possible. They present information, not judgment or conclusions of what action must be taken. My post was using this article as an example, and I did not make any value judgments about the content or conclusions of it. Having seen the New York Times and Washington Post articles highlighting the results of the research on predation by feral cat populations, I wanted to read the article myself. Every link in your posting took me to the Nature Communications webpage, where I could read only the abstract and a pdf of Supplementary Information, which included supplementary tables, methods and references. Access to a pdf of the entire article cost $32. The Smithsonian Libraries do not have Institutional Access to this electronic publication at present. While it is frustrating to be unable to view the work of a colleague here at the Smithsonian, it also makes me wonder how many of the 5549 “pageviews of the article” were actually a glance at the abstract. Unfortunately the Libraries does not subscribe to Nature Communication (while we’d be more than happy to give access to everything, I would imagine economics have come into play with this one). But we do have a Digital Repository. Once we get a copy from the researchers, we will be able to add it to the Digital Repository, which should make it openly available. This of course takes time, permission, and cooperation from the contributing researchers (I believe they just sent a copy this morning). As for the issue about whether the pageviews were of just the abstract, I bet you’re right. Still, knowing about the great interest in a specific study could help researchers be better prepared to present their work to a general audience. (FWIW, I did find a PDF of the article in Google Scholar, although the source is a bit suspect). Paula, I also hope to start using bibliometrics for two big questions: does the libraries subscribe to the journals our researchers publish in, and how much of the cited literature from our scholarly publications are in the libraries’s collections. But like all statistics, they will hopefully only inform the decision and not dictate it. Thank you for the replies, Richard. I now have a pdf of the article and am glad it will be available to others as part of the Digital Repository. Your proposed use of bibliometrics is a good one – perusing Nature Communications I noticed articles covering current developments in a broad range of scientific fields. Perhaps one day it will be added to our list of available publications.